I have not meant to disapear but I have been pretty busy the last few weeks both with family and work. I will share some of what I have been up to, it has been a lot of fun !! 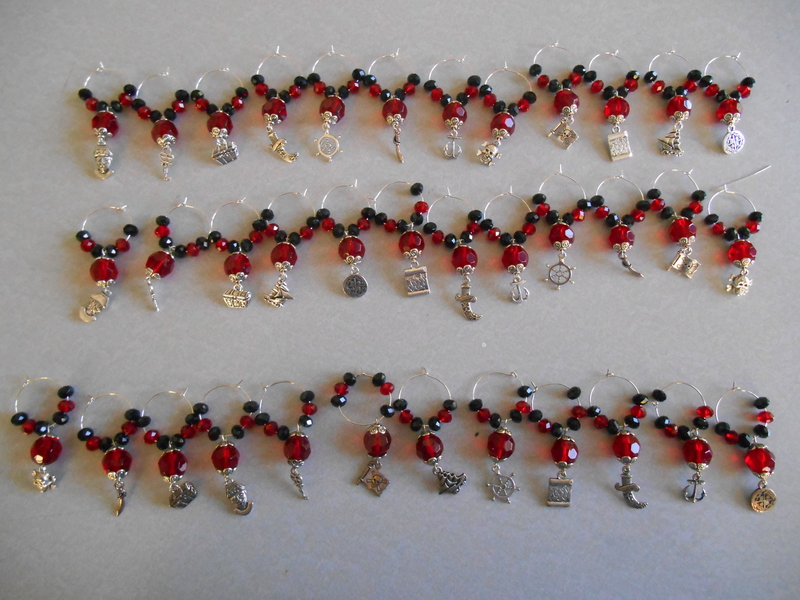 I had a custom order of wine charms for a wedding renewel that I finally got finished up, it was a lot of fun and I am happy to have finished them and plan to get them out to her this week. Once she pays and sends her address they are off to her !! She saw my listed pirate charms and contacted me and asked if she could get some custom and we got them all figured out and here they are !! 36 charms, three sets of 12, she did a good job picking out what she wanted and it was fun to make her vision come to life !! She was a lovely person to work with and I hope I get to work with her again one day !! I have another lovely customer who has me doing quite a few projects and I am excited about them all !! The first one we did, we completed last week, was some decorative elements for a small basket for her bedroom. It turned out so pretty, I am thrilled with it. It is so fun to create with someone who has amazing taste and designs well, I am excited we still have to many projects to work on. I have to give a shout out to two artists whos amazing work is featured in this piece. I will show better pictures of their work, one is the stunning glass purple charm above, the color and sparkle are so beyond amazing, I am in love with this artists work. Pictures just do not do her work justice, but I will try to show some pictures. I asked her permission to post about her work, I am going to have to buy something for myself for sure. 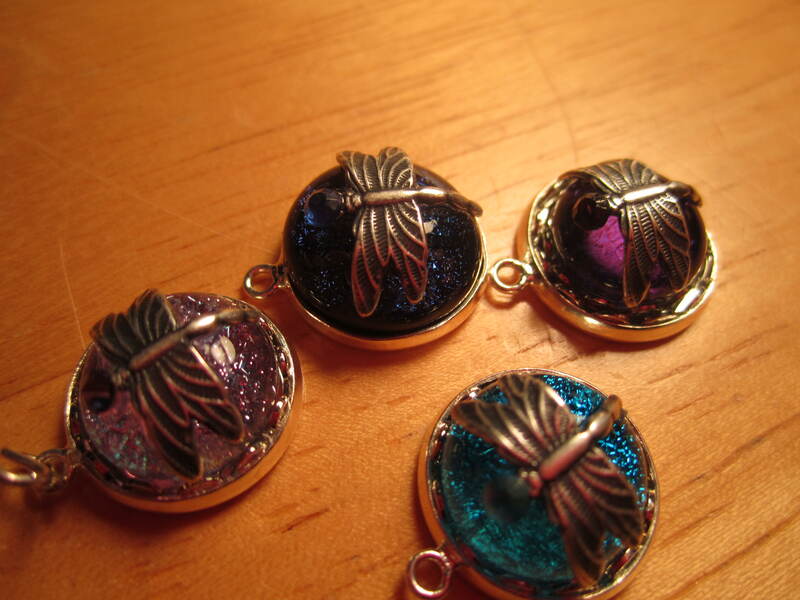 My customer ordered ten of her charms in different colors and they are all spectacular. 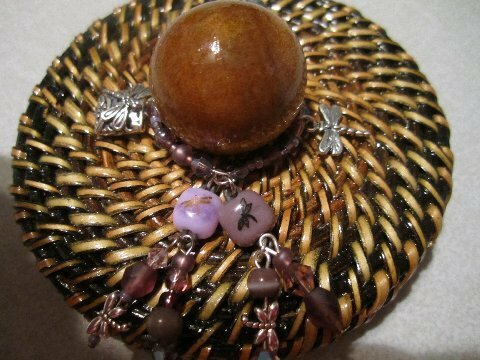 I love the fused beads as well, I used them as connectors on the front of the basket, they are so cute and she is very talented and made these for my customer. They are so pretty and she was kind enough to send me a magnet, which I had forgot to show my customer, so I will send her a picture right now, I had stuck it up my board when I got it and then had to take pictures of all the beads she had ordered that got in that day and forgot completely to show her, what a nice thing for this lovely artist to do !! She knew the beads had been ordered by my customer for me to make her some projects so that was really nice !! I hope you will check out these two very talented artists. I got thier permission to write about them but please know I am not getting anything for referring them. I am honestly an in awe of thier work and want to promote them if I can. 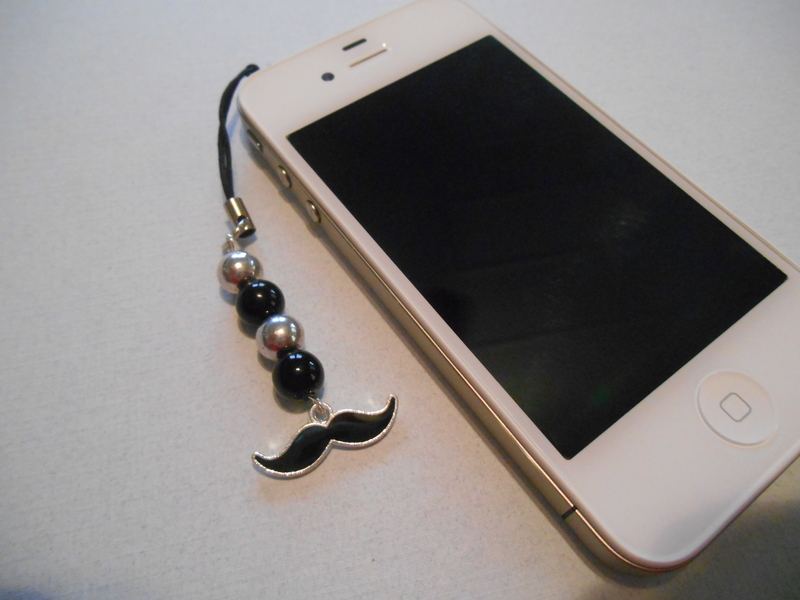 I have a very creative and artisic customer, although she will tell you she is not creative, but I am here to say, someone who is not creative coujld not have picked out all the amazing charms and beads she has bought and sent me for her projects. I am excited to show you the other amazing pieces I have and the artists who created them. It is going to be fun making all the wonderful things we have planned. 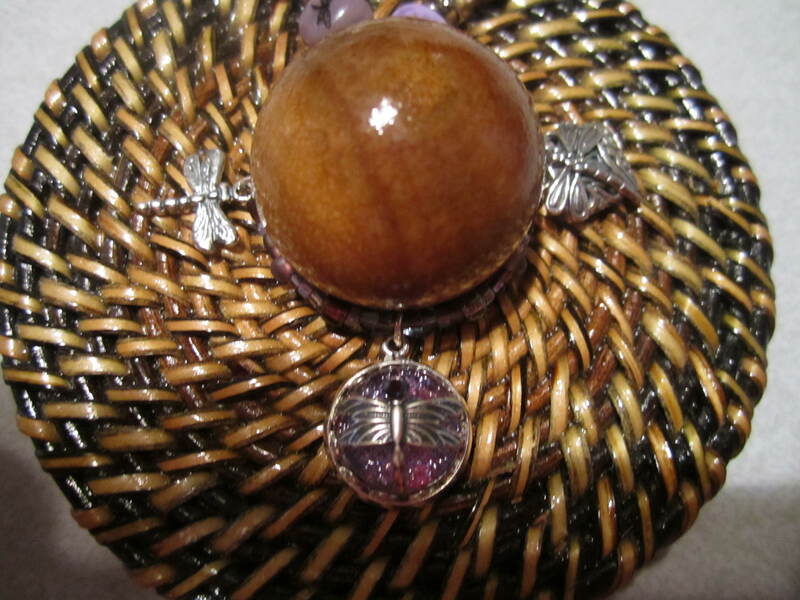 As we create and I share more of the pendants , beads , and charms she has bought and sent me, you will get a real treat. I have never in my life created with such amazing materials before. It is pure joy to be working with my customer and the materials she has picked out and sent me !! My customer has said when it is all home, she will be sure and send me pictures to share here with all of you !! 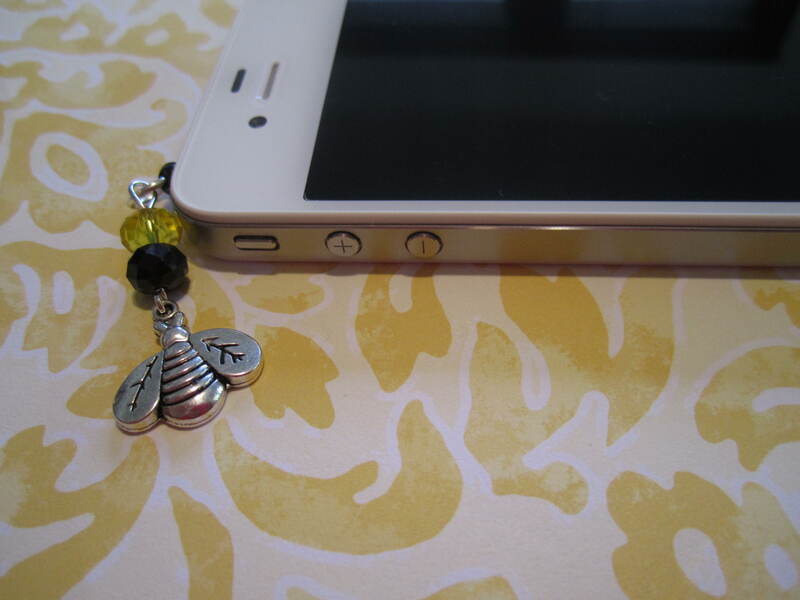 I also made some cell phone charms to sell, listed a few, got more to list, but something fun and differant. 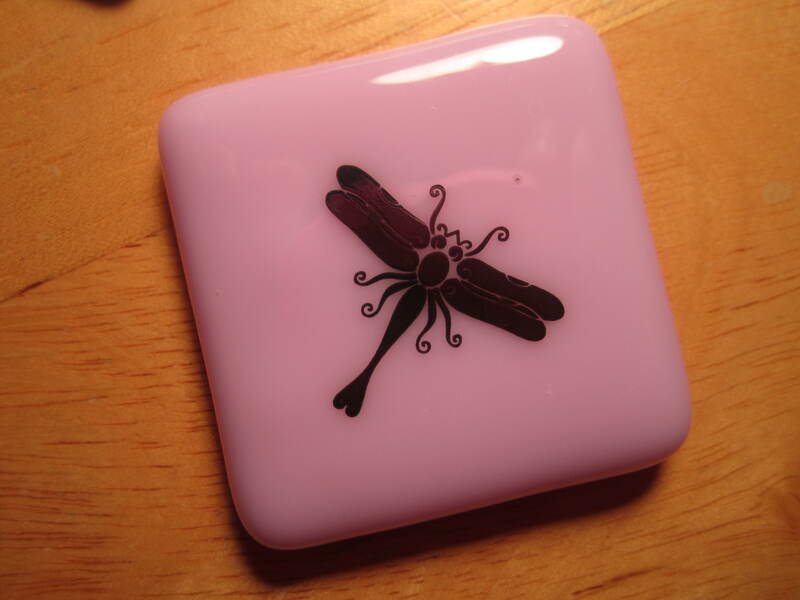 the dragon fly is actually purple and red, the top purple wings are not showing up well in this picture !! These are just a few of the 22 I made up , and I got about half listed already. 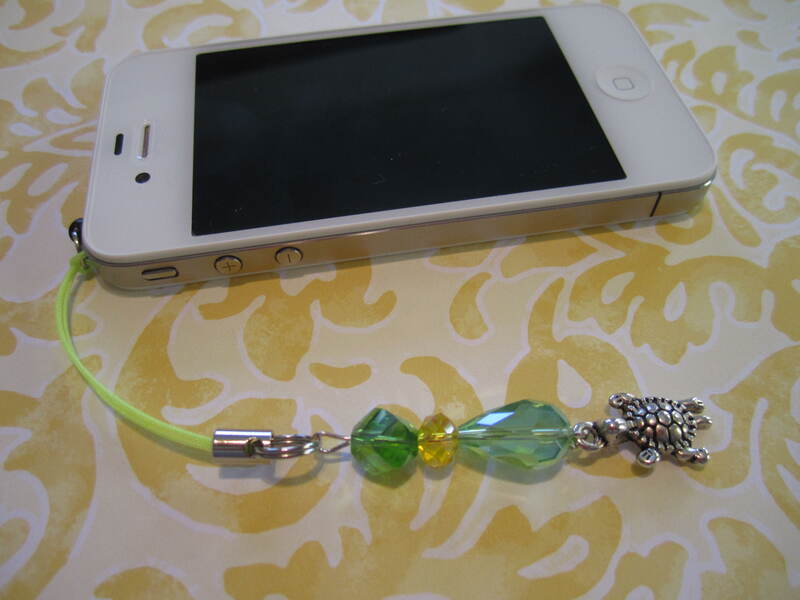 The phone plug can be unlooped and they can be looped onto a purse or back pack or anything you like !! Well, I am closing down the studio for the night. Thanks for stopping by and please check out these talented artists. You will be happy that you did !! ← I have a working studio !!! They look awesome and I am so glad you are getting some great orders. Thank you Robin, I am pretty excited and having fun working all these lovely pieces !! Nice to hear from you !!! She has made me think of so many possibilities too !! Wait until you see all the other projects she has planned, this is a big undertaking we are doing, and making a lot of really neat things !! 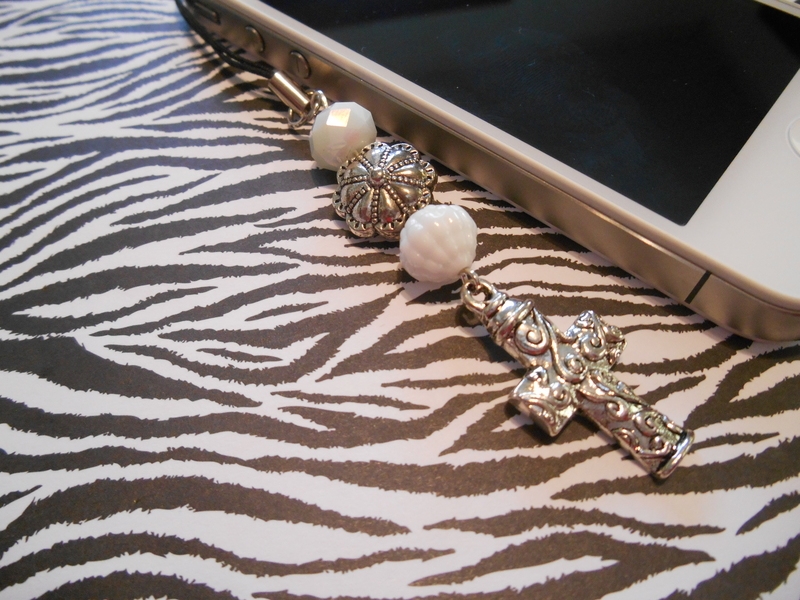 You will love the beads and charms she has found, I am loving every step of this right now !! Lots of fun !! I am rethinking how to use beads everywhere now lol !!! Wow Stephanie, you have been a busy bee!! I love the charms on the basket lid, what a great idea to brighten something up and add a little bling and colour. Thank you !!! My customer is very creative and came up with the basket idea. I helped her design it, but she gets full credit for the idea of creating a basket charmed ring. My only contribution was the idea of beading the ring. She picked out all the charms and told me excactly what she wanted !! She is very good at this and tells me she is not creative, but she is VERY creative !! I keep telling her that !! 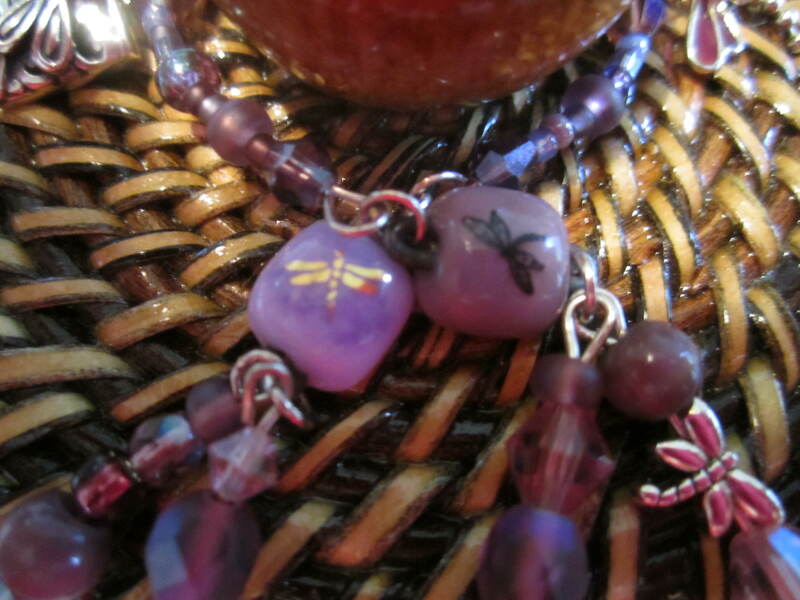 Wait until you see all the other projects she has for me to do, some of the beads and charms are just breathtaking. I have never in my life worked with such amazing and beautiful objects !! I cannot wait to share more !! She is such a wonder person to work with. She really appreciates every thing I do and lets me know all the time. It is a joy to design with her. She knows exactly what she wants and that makes my job so much easier !! We are doing this long distance as she found me on Etsy and lives in another state so we have sent stuff back and forth a couple of times too !! My other customer, the pirate charm lady is just as nice and appreciative , and actually invited me to the wedding renewel that she had me make the charms for , which is so amazing !! I love what I do and how I get to work with such wonderful people !! Thank yo so much for following me. I have been packing for my move to Atlanta in 2 weeks so I understand about busy. 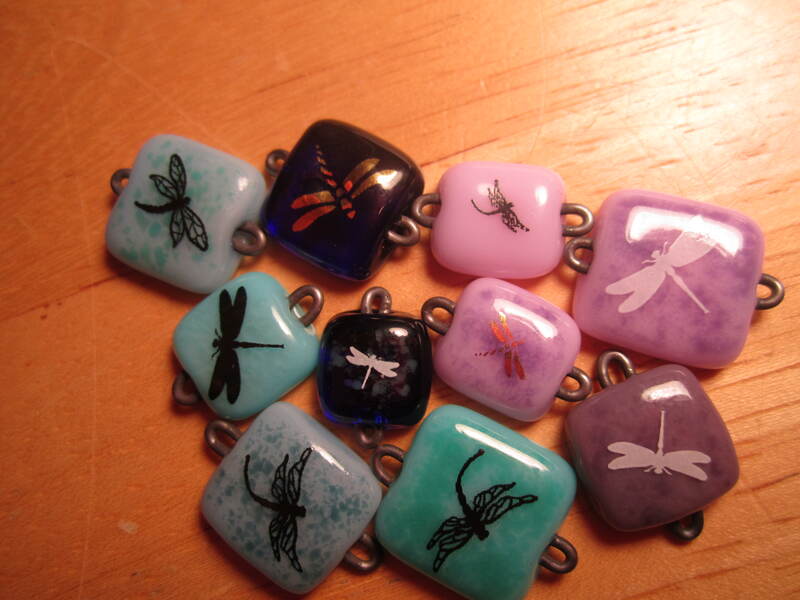 I will be sharing after the move some square stitch charms I have beaded that will go together as a bracelet. They call it needle weaving from what I have read. Hope you will give feed back when I post them. 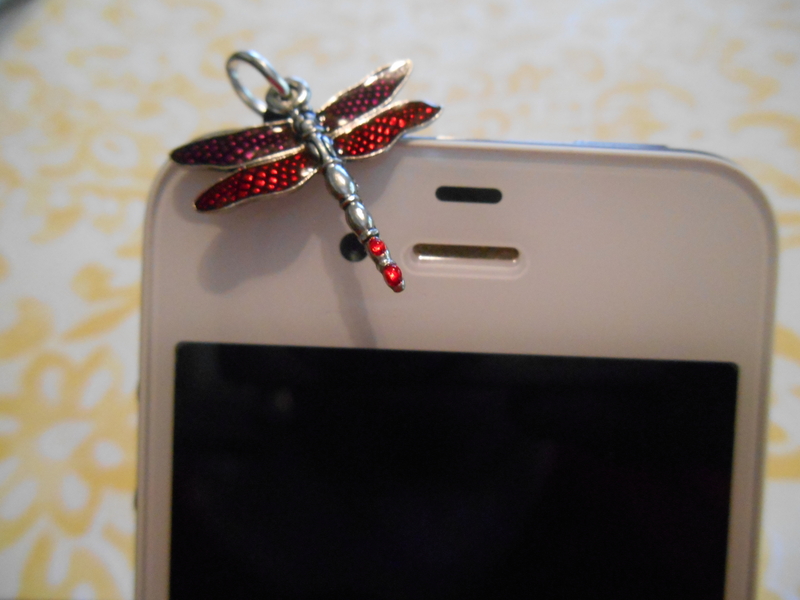 Again thanks for following me and dragon flies are some of my favorite things and the beads you used are beautiful!!!!! I look forward to seeing your new creations, they sound wonderful !! Good luck with your move, we just did the same thing in March , so we are still getting things found and put away !! Thanks for stopping by, I really appreciate it and look forward to reading more of your blog !! !